Question: Is a cashew a nut? Answer: There is an enormous amount of confusion surround what exactly are nuts. The peanut is one of the biggest culprits of this confusion. Based on its name “peanut“, some people assume it is a nut. Rather, the peanut is a legume. You then have things such as pine nuts and soy nuts, which are also not nuts. We could go on with the examples, but we think you understand people’s puzzlement surrounding nuts. Today we are going to explore if a cashew is a nut or something else such as a seed or legume. While the cashew may be considered a nut in the culinary world or in loose terms, it is not a nut botanically speaking. A cashew is officially a drupe. Drupes contain a fleshy outer layer that commonly encompasses a stone or pit. The stone houses the seed or kernel that is typically edible. Some popular examples of drupes are peaches, apricots, and avocados. Each has the charactertistics mentioned above of the fleshy outside layer with a pit and seed. 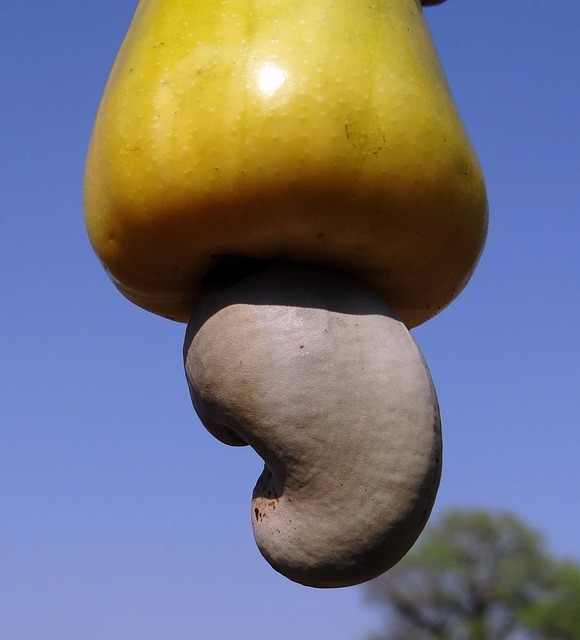 A cashew is a bit different than the drupes mentioned above because it has a seed that hangs below the the fleshly fruit instead of being enclosed inside (see the picture below). The red portion pictured is actually an edible apple. The cashew apple makes for a delious treat, but it is not a practical fruit. The apple rots quickly once off the vine (in about 24 hours at room temperature), so you likely aren’t going to find these at your local grocery store. However, lower temperatures and humidity can extend their freshness for many days. We called the cashew apple a fruit above but technically it is a psedo-fruit. The actual fruit is the cashew “nut”. The “nut” portion grows first and then the apple forms after the “nut” has matured. The edible cashew is enclosed in a double shell. 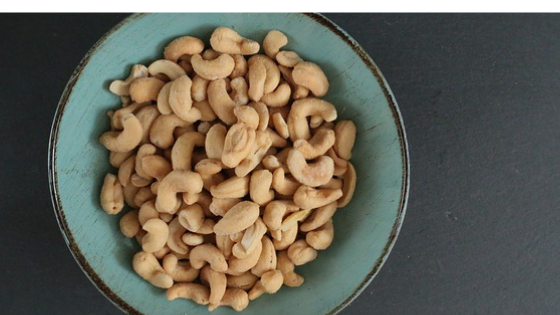 You may have noticed that that cashews are never sold in the shell. This is because the shell contains an irritant known as anacardic acid, which causes a painful skin rash when touched. This makes sense when you consider that the cashew is the same plant family (Anacardiaceae) as poison ivy and sumac. 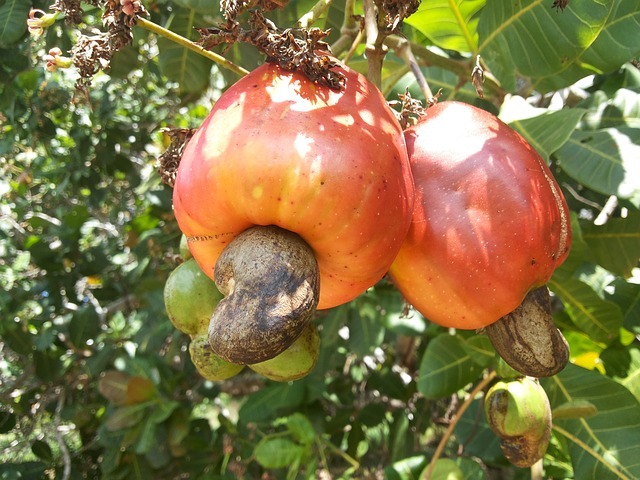 As you might assume, harvesting and processing cashews is challenging given that the shell is an irritant. Great care needs to be taken to remove the shell to get to that delicious edible kernel we know as the cashew. The labor and challenges that go into harvesting and processing is why cashews tend to be pricey. A nut is a pod with a hard shell that holds both the seed and fruit of a plant. A prominent feature of a nut is that the shell does not open to allow the seed to discharge. Some common true nuts include beech, hazelnuts and chestnuts. Following the dictates of common culinary usage: nuts (noun, plural) are things that grow on trees, have hard shells and are edible.